Welcome to The Cloud Crowd, where experts from AWS, DXC and beyond answer your questions to help you navigate the world of cloud for the large enterprise — from creating the business case to measuring success and addressing the skills gap. 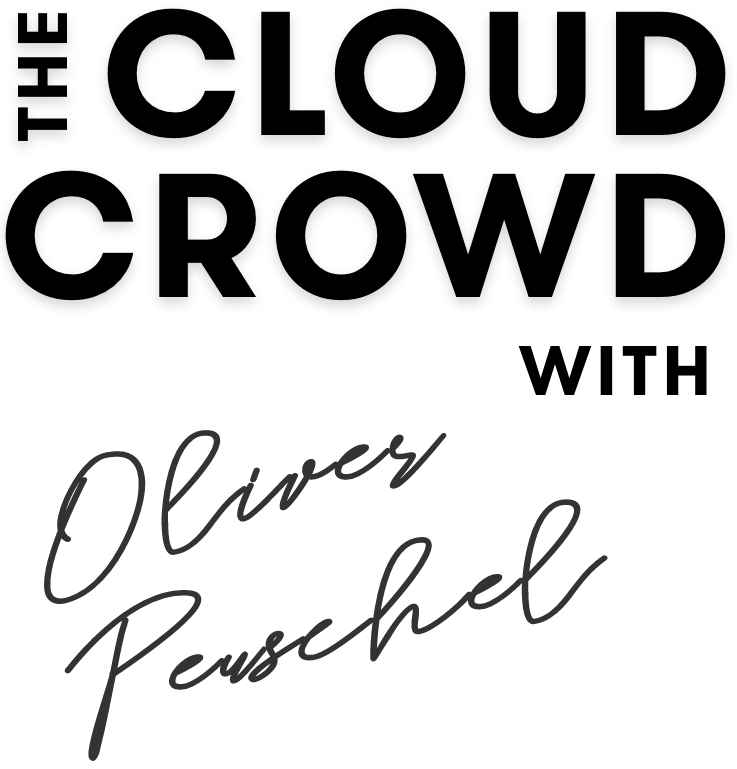 Get the most out of your journey to the cloud with our video interview series and live panel events — all moderated by DXC cloud expert Oliver Peuschel. Listen in as one of DXC’s SAP experts shares her wisdom on moving mission-critical workloads to the AWS cloud. See what pitfalls to avoid and why businesses are rushing to move by 2025. The Cloud Crowd expert panel convenes online once or twice a month to discuss what you need to know to make your cloud projects a success. Join Jonny Williamson [Editor of The Manufacturer], industry expert Paul Muscat [DXC] and technology transformation specialist Paul Hannan [AWS] for a series of 30-minute thought-leading webinars — moderated by DXC cloud specialist Oliver Peuschel. The Cloud Crowd panel discusses how enterprises define success when it comes to the cloud. How do they calculate the risk of moving complex or sensitive infrastructure? Should the benefits be measured in purely technological terms? And how do data-driven manufacturers calculate the return on investment of cloud initiatives? Paying for IT as a service has obvious benefits for any company — you only pay for what you consume. But how can manufacturers use the ever-expanding range of services offered by public cloud providers to innovate and increase their revenue, as well as lower their bottom line? Our panel of cloud and manufacturing experts discuss the stumbling blocks that prevent stakeholders from releasing budget and how to overcome them. Our guide to AWS migration is packed with insight from IT leaders. 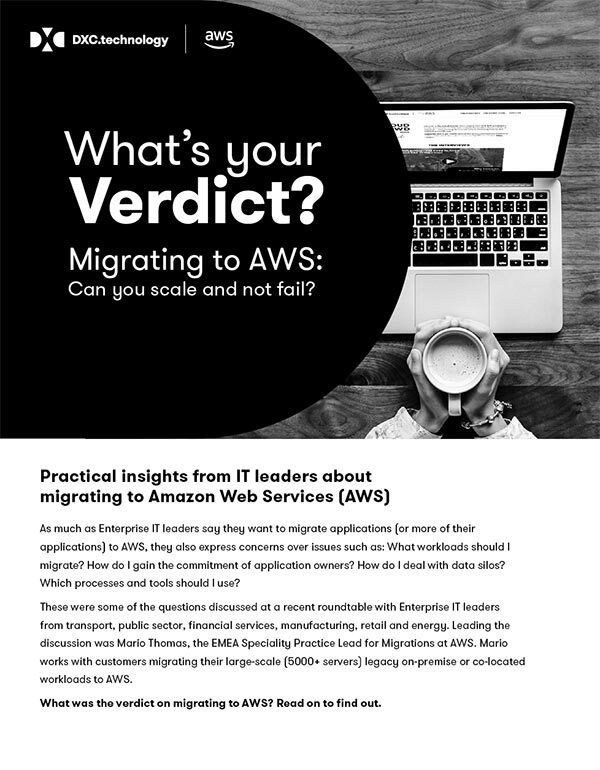 Want to find out more about how DXC can help your organisation migrate to AWS? If you’d like to discuss your own situation or learn more about how the DXC/AWS partnership is specifically empowering every subsector of manufacturing, as well as construction and engineering, get in touch.